I’m trying to expand my crafty horizons. 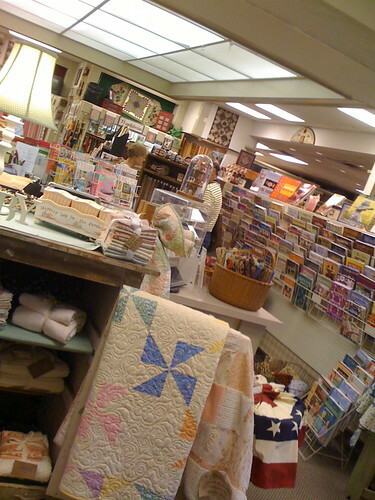 When I was in Indianapolis earlier this month for my birthday, I went with my mom to Quilts Plus, a super-nice quilting store. 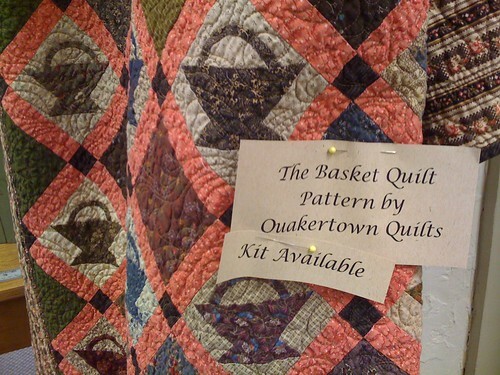 Now, I’m not much of a quilter, but I think I’d really enjoy it if I had more time. For now, I’ll have to stick with smaller, quilt-like projects. 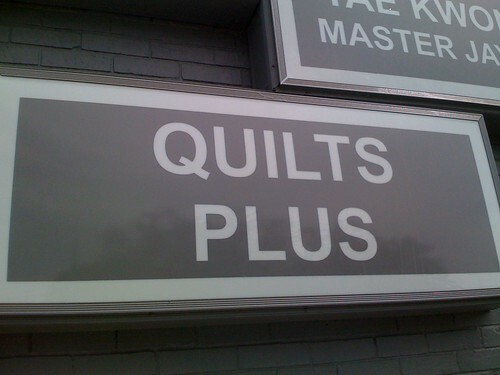 The store had a variety of specialty quilting fabrics. Definitely a big change for me and the red-tag racks I check out at Joann. 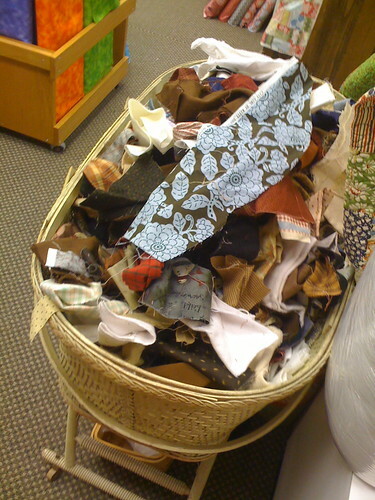 There were all sorts of great finds tucked away in Quilts Plus, such as this bassinet of fabric scraps. I loved that there were so many areas like this in the store; it was good to see all the fabric going to use, and it really made my brain think how I might be able to make lots of projects out of items like this. And of course, there were TONS of patterns to choose from. I fell in love with all of the Amy Butler kits they had for sale, as well as some of the fabric styles she features. I picked up one of her bags (you’ll see that later this week), and was pleasantly surprised to see how easy it was to make. 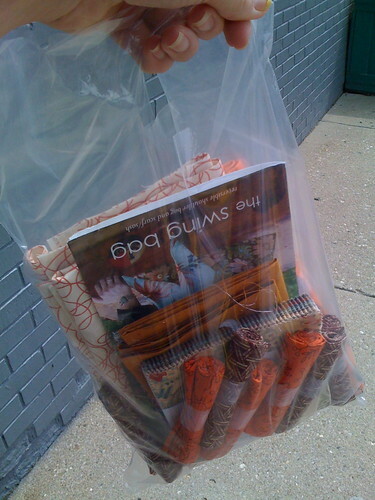 I ended up picking up some great fabrics, patterns and scraps for projects I’ve yet to start. I’m really glad I stopped into a store I might not have normally looked at. 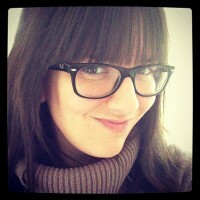 Just because you might not follow a certain area of crafting (knitting, sewing, etc.) doesn’t mean you shouldn’t check out what they have to offer. Who knows, you might be surprised where your next burst of inspiration comes from.